IGEA, founded in 1980, is committed to clinical biophysics research, with the goal to develop innovative and beneficial medical devices used in medicine for preventive, diagnostic and therapeutic purposes. Ergonomic human interfaces and the system integration of mechanics, software and electronics are core competencies of IGEA. Their innovative products are developed on solid scientific and technological bases, in close collaboration with academic and private research centers in Europe and the U.S.A. All products are designed to provide technicians with easy-to-use instruments for immediate application. IGEA’s certified quality system complies with the ISO standard for design, production, sale, rental and assistance post-sale of medical devices and the company has been approved by the FDA for the manufacture of medical devices for export to the U.S.A. IGEA has translated scientific know-how into a successful treatment for patients affected by metastatic disease to the skin in Europe and will be able to design and produce a specific device for clinical use for gene therapeutic approaches such as the treatment of AMD. IGEA will work to develop modification of existing electroporation devices (WP3) for use in the gene-modifying transfection procedure of the small number of isolated cells (WP 3 and 5). One of the project objectives is a new device with an ergonomic human interface for clinical use (WP4), defining all transfection parameters for the most effective process for cell transfection. One of the critical factors in electroporation is to produce voltage pulses with a very small slope time. IGEA leads WP 4 for the validation, certification and authorisation of the devices developed. IGEA produced the devices for the clinical trial in a small series and is responsible for their verification and validation (WP7, 8 and 9) and contributes to the specific SOP and the IMPD (WP 7 and 8). IGEA will bring engineering expertise to the scientific management and participate in the dissemination of project’s results (WP10). IGEA will be part of the Scientific Committee and plays a role as Division Leader for industrial implementation. 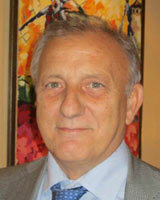 Dr. Ruggero Cadossi, MD, holds a medical degree in hematology. 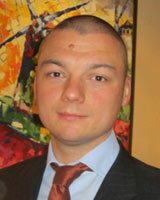 He has been assistant professor at the University of Modena and is presently president of IGEA. Dr. Mattia Ronchetti, PhD, holds a degree in industrial biotechnologies. He worked at Thomas Jefferson University (Philadelphia, PA, USA) for 3 years. In the last 7 years he has developed clinical application of electroporation technologies.